Another closet post. What can I say, I love organizing closets. Especially at about 10:45 at night. Which is when these were taken - so sorry for the craptastic lighting. 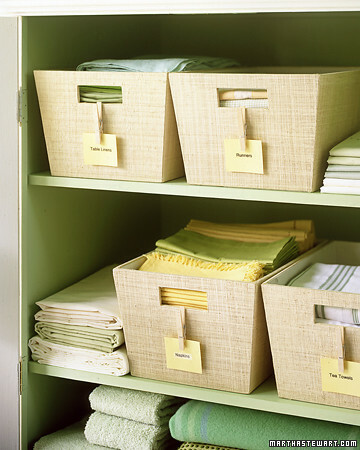 Buy matching baskets/bins, or at least pick one color and stick to it throughout your whole house. 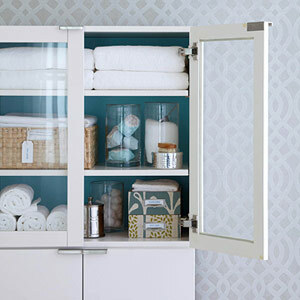 One, that just makes me happy in way that only cohesive closets can; and two, if you need to move a basket to another closet, you know it will still match. Which will allow you to sleep at night if you're like me. If you're storing something pretty, like soap - put it in a clear vase. If it's ugly, hide it in basket or bin. Take everything out of it's ugly cardboard packaging, like light bulbs or batteries. It saves on space, it looks better, and it's easier to grab something you need. 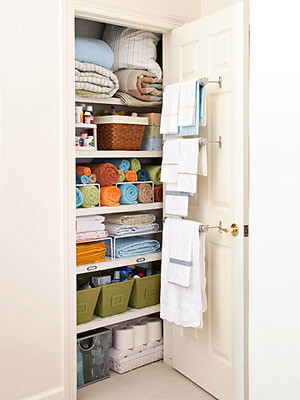 I love your organized closet! Please come over and organize the remainder of my closets. I will pay you in Diet Coke and snacks. So cute! 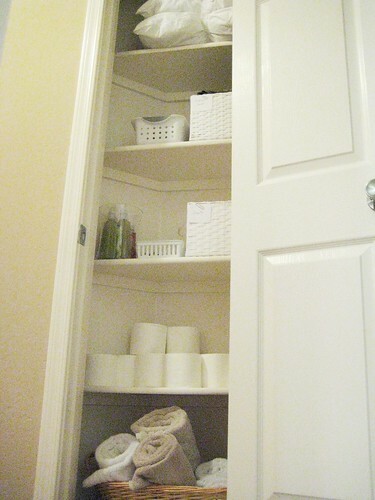 I really like the idea of taking things out of their cardboard containers, I'm going to need to revamp my laundry room. What does that letter K in your sleep stand for?